A self-employed builder has been sentenced after work he carried out resulted in the carbon monoxide poisoning of an elderly couple at their home in Leyton. The builder has been fined £75,000 and ordered to undertake community service. The work was carried out on the roof of the couple’s garage in Matlock Road, Leyton, but in the process of raising the roof, builder Mohammed Jamil enclosed the flue of the property’s central heating boiler resulting in the escape of dangerous fumes and thus leading to the couple’s death from carbon monoxide poisoning. The pair were found dead at their home in April 2009 and it was the verdict of the Old Bailey following a case brought by the Health and Safety Executive (HSE) that had the flue not been enclosed, the couple’s death could have been avoided. Mr Jamil pleaded guilty of breaching Regulation 8(1) of the Gas Safety (Installation & Use) Regulations 1998 and was ordered to pay £25,452 costs in addition to the £75,000 fine. He was also ordered to perform 150 hours community service. Carbon Monoxide (CO) is a highly dangerous gas because it is odourless, tasteless and colourless thereby rendering it undetectable without the aid of a carbon monoxide alarm. Once released into an enclosed space in sufficient amounts it can kill quickly. The main symptoms of carbon monoxide poisoning are dizziness, headaches, nausea, breathlessness and fatigue leading to collapse and unconsciousness and ultimately, death. If you suspect a carbon monoxide leak, you must ventilate the property immediately, and preferably leave the house altogether and having contacted gas authorities and switching off appliances. 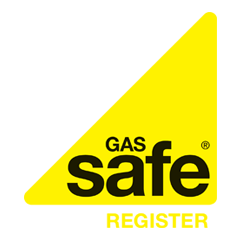 While installing a carbon monoxide alarm is an extremely good idea, recommended by the Gas Safe Register, you should also ensure that your boiler is routinely inspected and serviced by a competent Gas Safe registered engineer.